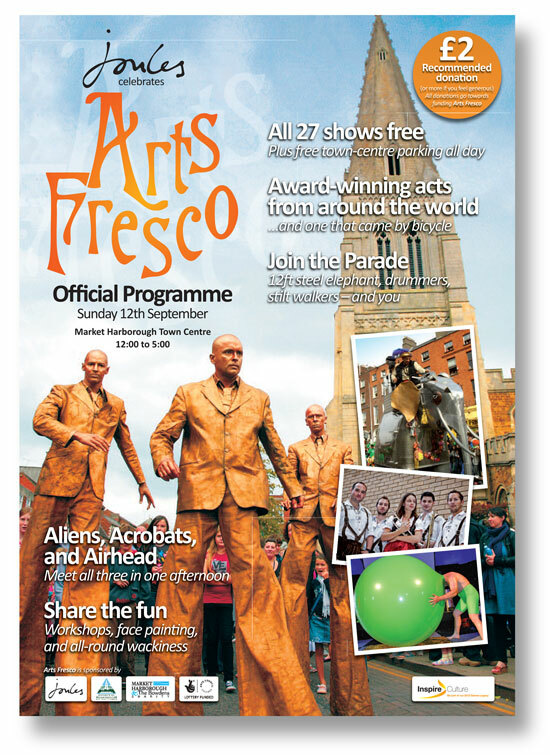 Sometimes we do things for free – like volunteering to write and edit the programme for Arts Fresco, Market Harborough’s annual festival of street theatre. Putting a programme together for this sort of volunteer project can be stressful. Loads of missing information and too many people wanting to put their fingers in the pie. So we dived in and did our own research into the acts, watched endless smartphone videos of their performances at other festivals, and scoured their websites for hard facts. 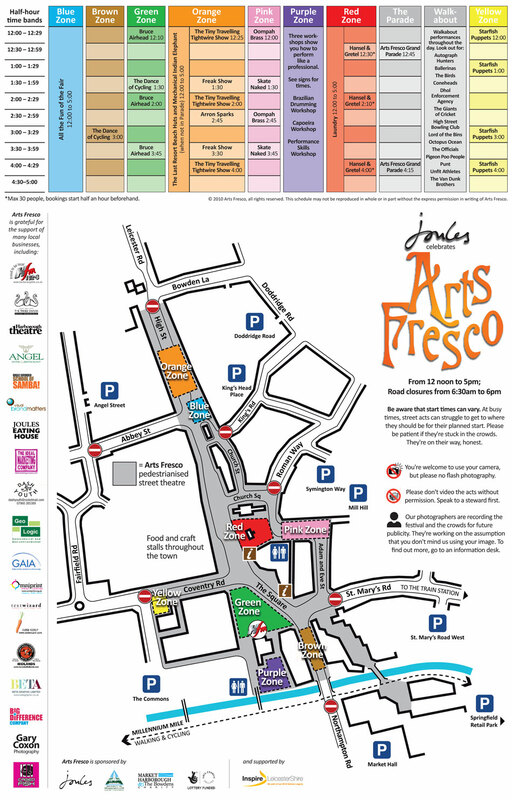 We even put together an easy-to-follow town plan (expertly designed by Beta Graphic) with coloured zones and matching performance schedule. In the end it was great fun. 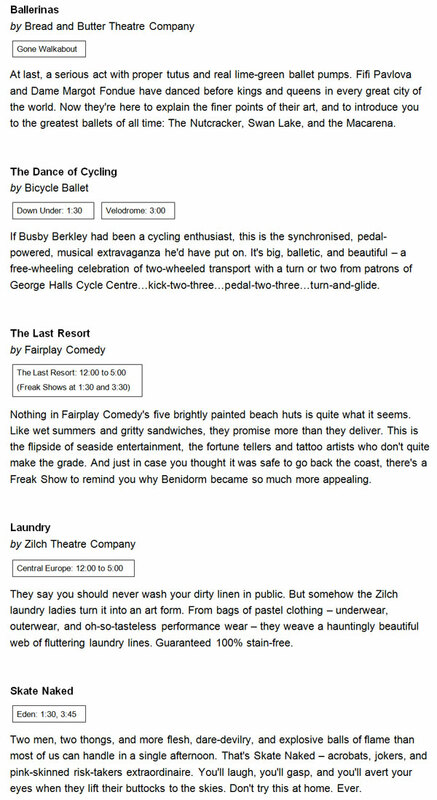 And – most important of all – the programme was printed and on the streets on the day we said it would.